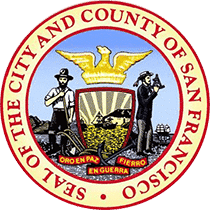 Start your San Francisco bike rental adventure! 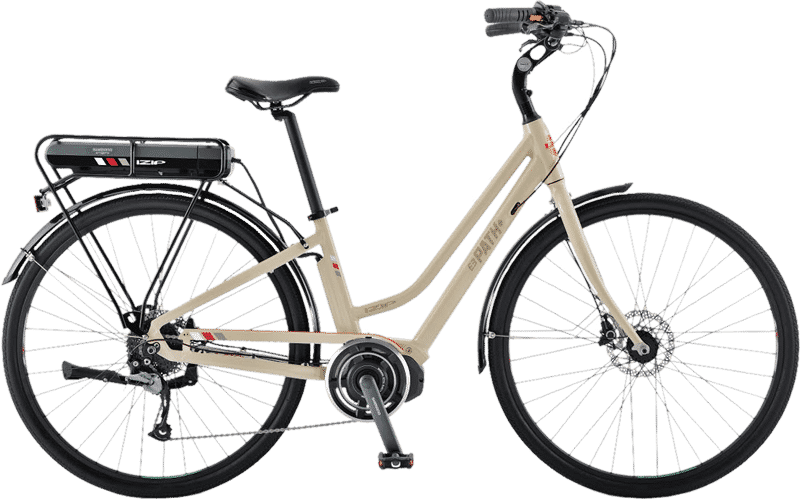 Ride our exclusive Deluxe Infinity Shifting Priority Hybrid Bike over the Golden Gate Bridge to Sausalito with our Free GPS-Audio Bike Tour, or rent an electric bike and without breaking a sweat take a leisurely ride through San Francisco’s hills. Our Comfort Hybrid bike rental offers an upright pedaling position and wide cushy seat. 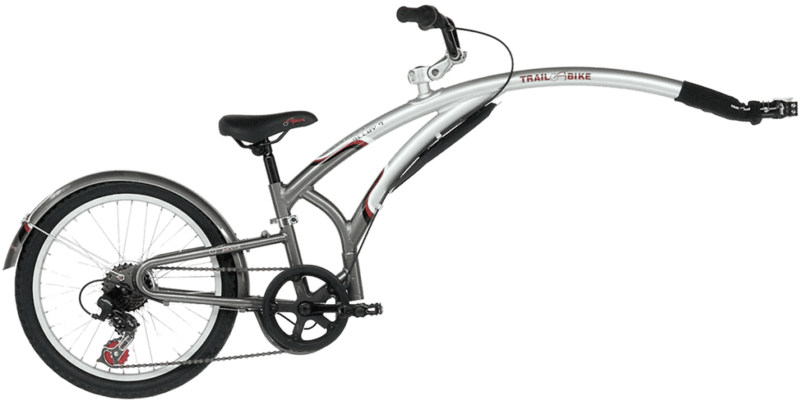 The lightweight aluminum frame and easy rolling tires coupled with a suspension fork and suspension seat post make for a very smooth ride across the Golden Gate Bridge or through Sausalito. 24 speeds offer a full range to conquer even the most extreme terrain. Please call 415-770-1978 to reserve. 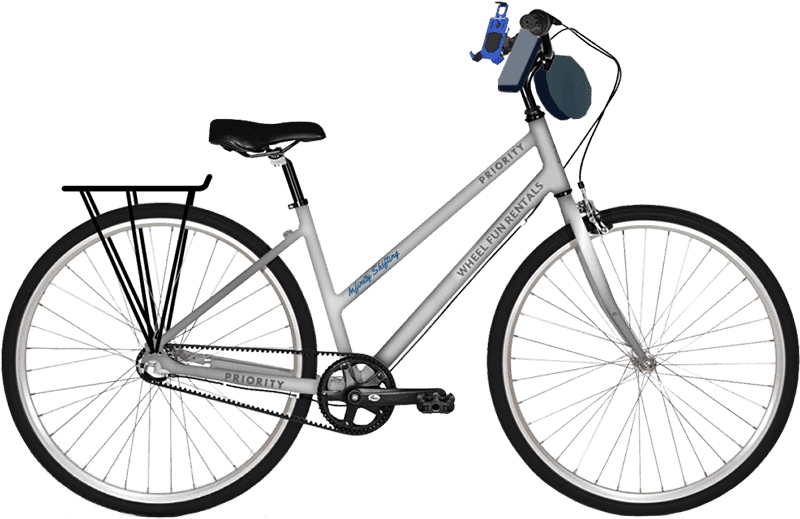 Our Deluxe Infinity Shifting Priority Hybrid Bikes are the best ride in town with a super lightweight aluminum frame and exclusive features that can't be found anywhere else but Wheel Fun Rentals! The bike's unique effortless shifting (think dimmer switch) makes it easy for all ages and abilities to adjust gears and climb even the steepest inclines, meaning it’s even easier to see the city. They are chain-free, grease-free, and hassle-free, with an infinite number of gears. 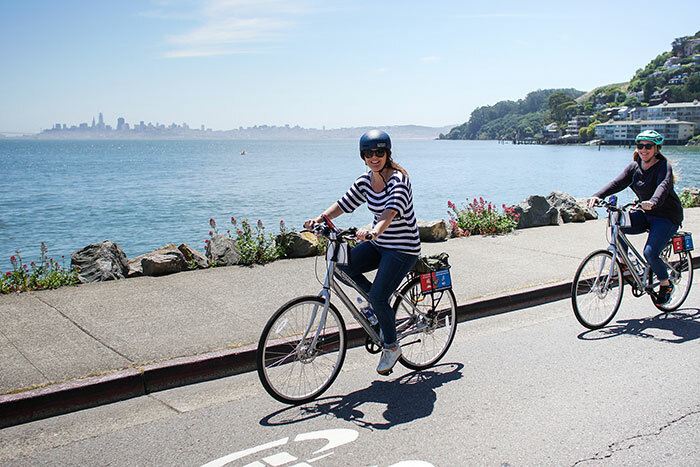 Explore San Francisco's hills without breaking a sweat on our Electric Bike! Our Electric Bikes boast a large charge, meaning you'll have enough power to ride to Sausalito and back. - By California State Law, you must be at least 16 years old to ride an electric bike. - Kids Attachments (Tag-A-Long, Kids Seat, Kids Trailer) cannot be used with the Electric Bike. Multi-Day & Weekly rentals available. Please call 415-770-1978 for discounted pricing. Two are better than one! 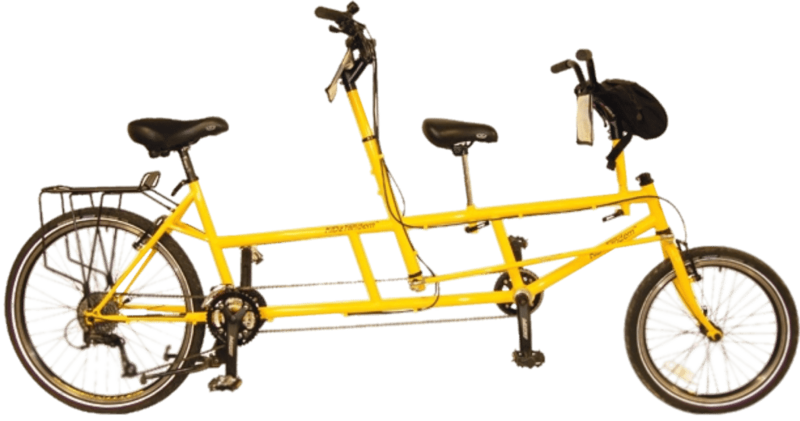 This comfortable bicycle built for two is a must for any two person expedition. This option is a great choice for couples looking for a low key way to travel together. 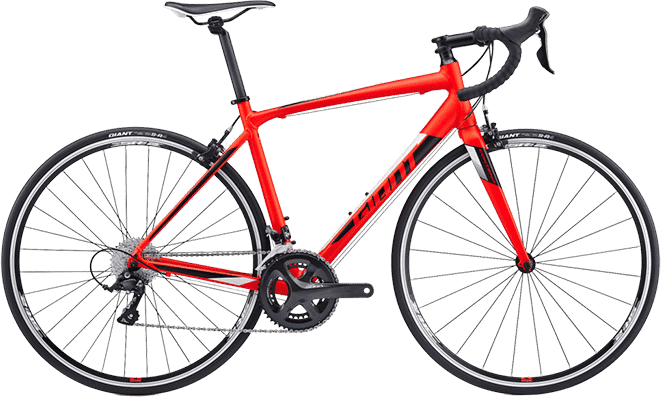 Explore San Francisco with ease on our performance Road Bike, You'll have the smoothest ride while navigating the Bay. 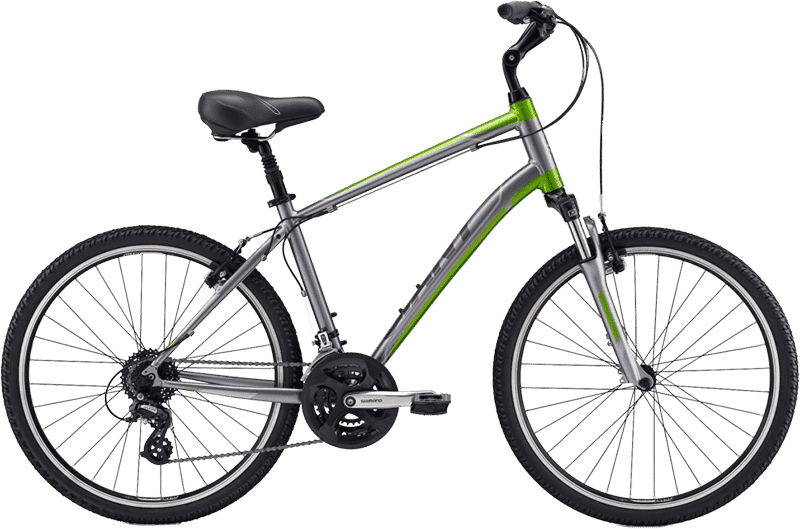 Whether you're a novice or an experienced rider, all will love the versatility of 18 gears and quick handling this bike affords. Wheel Fun Rentals has something for everyone! Kids will be excited to have their own bike while parents will love the chance to ride together! 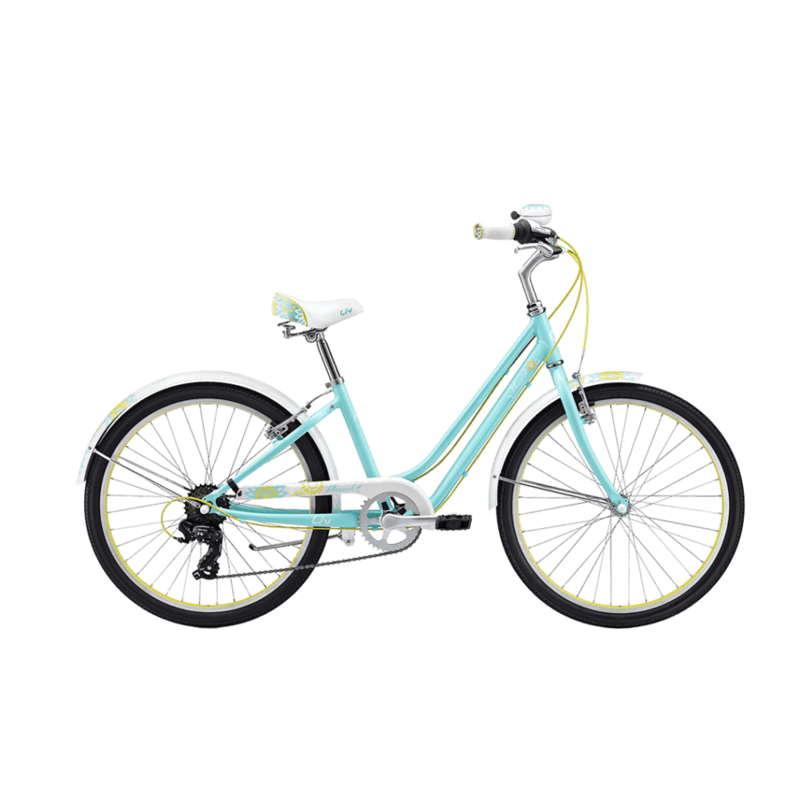 Our youth bikes comfortably fit riders ages 5 - 10 years of age. 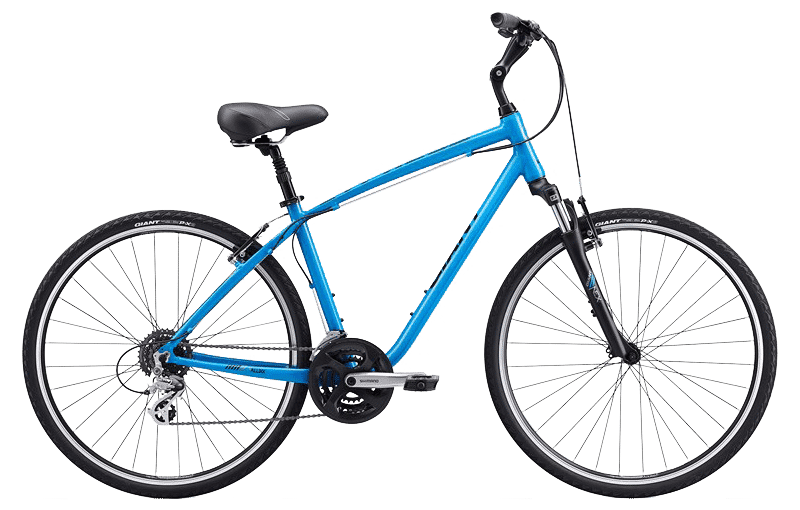 For ages 11 years or older, we recommend one of our small frame adult sized bikes. Our kids tandem is just the thing for a child who wants to tag along, but doesn't have the legs for it! This unique tandem lets your child ride up front and enjoy the view while you easily steer, brake, and shift gears from the rear. 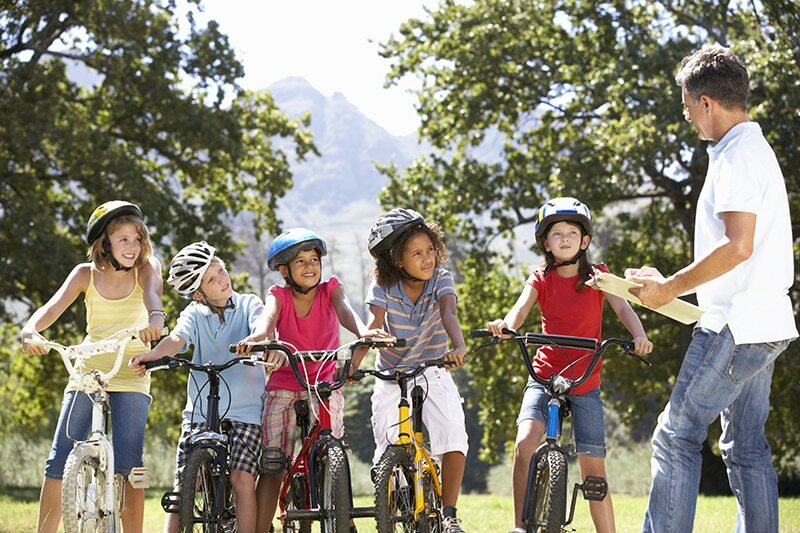 Your child can pedal to help you along, or coast when they tire and enjoy the scenery. No matter what, it's tons of fun and perfect for enjoying San Francisco on a bike tour. 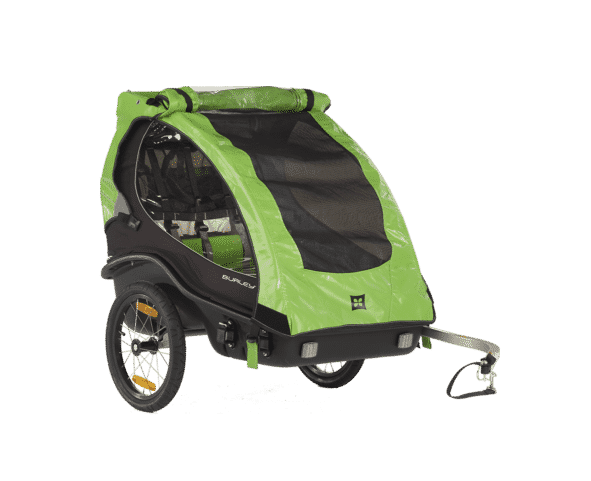 Perfect for trips where your little one may not have the required stamina to pedal the whole way. Instead of changing your travel plans, opt for a tag-a-long! Even the youngest members of your biking expedition can enjoy San Francisco! 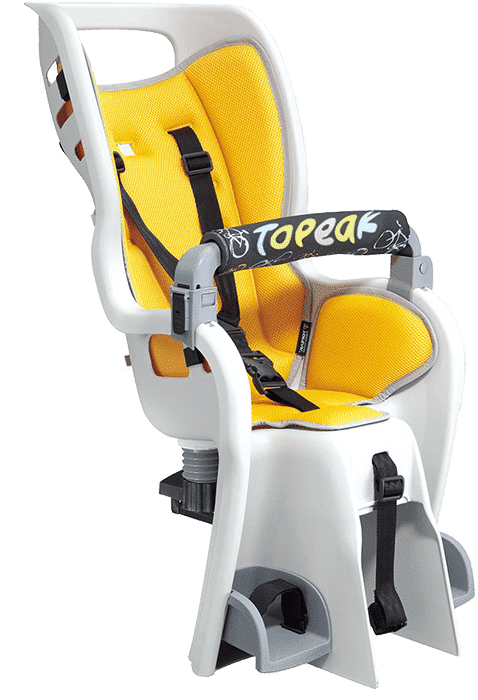 Our kid's seat is the ultimate in child comfort and safety. Riders will stay comfortable and securely restrained with comfortable padding on the back and shoulder. Take the whole family along! No member of your family gets left behind when a kids trailer is involved! Our comfortable trailer features plenty of padding and support for even the littlest of passengers. Sturdy mesh venting keeps bugs out and things cool for your kids on warm days. 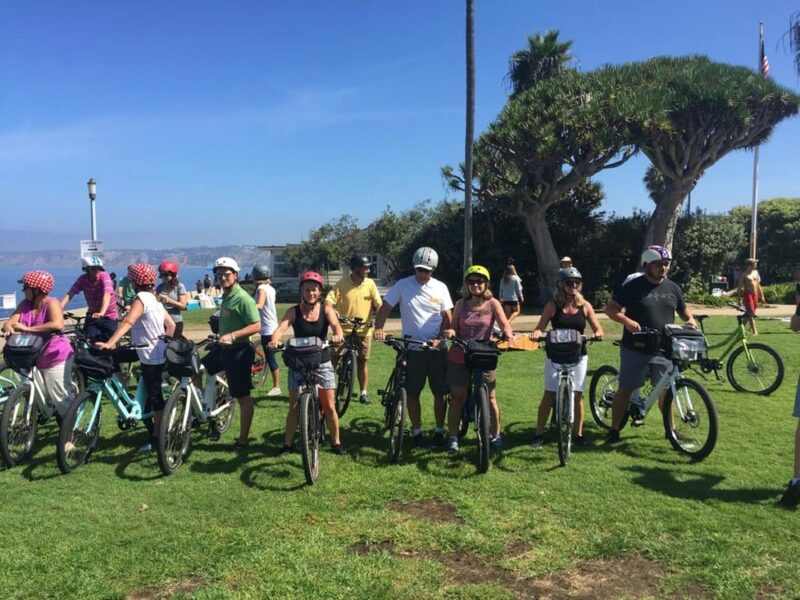 Explore San Francisco on a bike tour with the whole family! Learn fun facts, historical insights, and so much more. 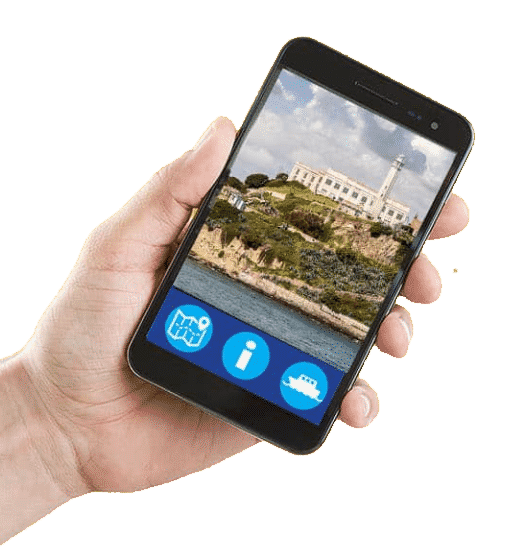 You’ll get turn-by-turn audio instructions, ferry information, and more. It’s like having a knowledgeable tour guide with you on your ride! Single-use ear bud included. Please note: the Guided-GPS Audio tour is available for FREE to download on your own phone. If you prefer to use one of our devices, you may rent one for $5 for the day. Available for rent upon arrival. Multi-Day & Weekly rentals available. Please call 415-770-1978 for discounted pricing. 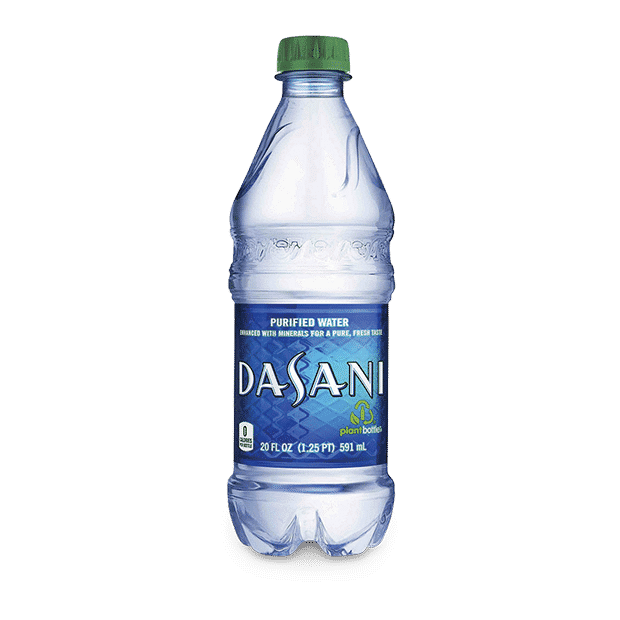 Quench your thirst with a cold, refreshing bottle of water. Available for purchase upon arrival. Set your own gift card increments. 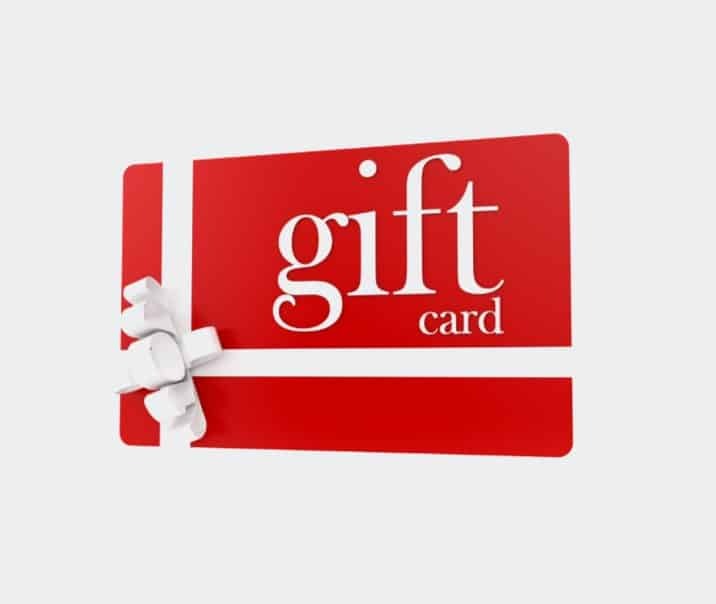 Gift Cards are great for the holidays, birthday gift, or to show that special someone you care. – Surrey driver must be 16 or older, or accompanied in the front seat by a licensed adult.